Playworks Director of Service Design Susannah Staats speaks on a Service Design Network SF panel discussion about service design in the nonprofit sector. Quick: what comes to mind when I say service design? Now how about when I say nonprofit? “Service design” often brings up images of exciting, new, entrepreneurial and tech-y—probably in the Bay Area, Silicon Valley, or Copenhagen. “Nonprofit” likely brings up a different set of images. 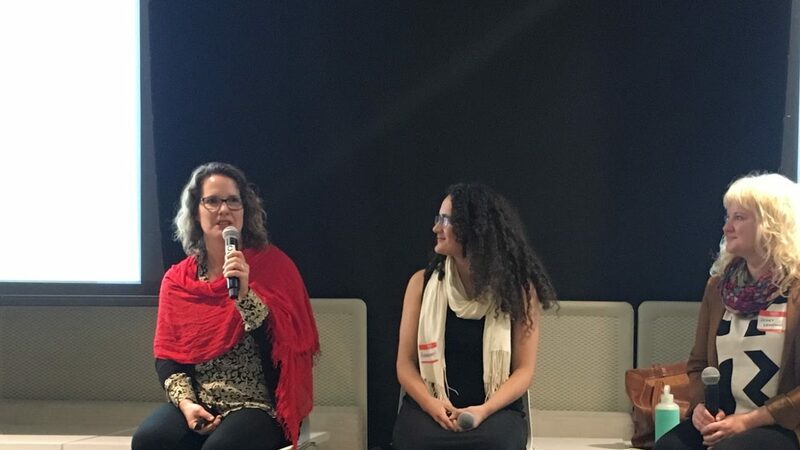 I had the wonderful experience of talking with a room full of kindred spirits at a recent Service Design Network SF event about how to harness the power of service design in service of nonprofit mission. We called it social impact design. Our panel facilitator, Jenny Kempson of Adaptive Path, kicked us off with one of those shockingly simple questions that sometimes stump me. “What does social impact mean to you?” My co-panelist, Annemarie Spitz of Greater Good Studio, took the lead and shared a wonderfully articulate perspective on how agencies like hers help nonprofit organizations both deepen and scale their missions. All the while I could feel my mental wheels spinning. I feel like I’ve been doing this my whole career . . . why can I not find the words now? So I will share what I shared with that room of people. 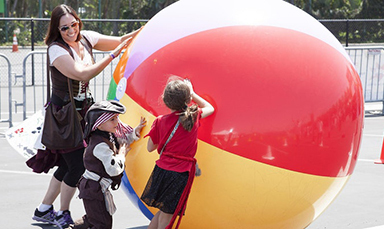 At Playworks, our vision is that one day every child can experience the benefits of play, everyday. That is the “social impact” we want to have. We do this work because we believe, based in research, that play and recess are channels through which children can learn the fundamental social and emotional skills that set them up for success in school and in life. Pretty ambitious social impact goal, isn’t it? “Social impact design” means making that vision concrete and working towards it: we are designing new services, partnerships, and channels in order to ensure that 3.5 million students in 7,000 elementary schools experience safe and healthy play every day by December 2020. Over the past year, two of the new services we have launched or are playfully testing at Playworks are Part-Time Coach and an onsite, one-week immersion training called Recess Reboot. As of the time I type this, over 60 schools serving more than 40,000 students have benefited from these two new ways to experience safe and healthy play, every day. That feels like the impact I want to see in this world. I will admit that I do not have a textbook definition of social impact design. I believe at its core, this work is a way to think about redistributing the resources and power in our world. That is why I chose to move from the for-profit sector into nonprofits 10 years ago and have not looked back. What remains the same across sectors is that good design requires deep humility and empathy for the people and organizations you want to serve.  I believe empathy is good business whether you are on the nonprofit or for-profit side. Like most of those who work in service design, my work starts as human-centered, meaning that one puts the end-user at the center—or beginning—of the design process. What is different for me as an internal practitioner rather than an agency consultant is that I get to follow design through to implementation. I feel grateful that at Playworks I get to work on both the design and the roll-out and continued development of new services. By supporting implementation as well as design, I have the privilege of ensuring that all the effort that goes into the designing a service ultimately has an impact for students, schools and school districts. 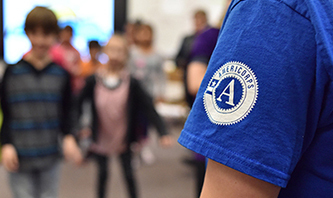 Our Playworks AmeriCorps coaches make a positive impact every day at each of the schools we serve. Coaches transform schools, engage communities, and inspire youth leaders. Find stories of these amazing AmeriCorps coaches and learn more about becoming a Playworks AmeriCorps member. 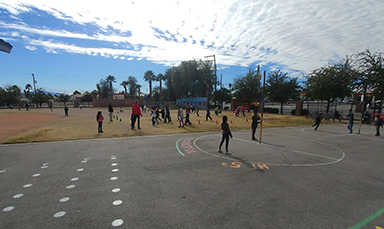 Hollingsworth STEAM Academy in downtown Las Vegas launched its recess reboot with assistance from Playworks, a national nonprofit dedicated to improving playtime and, in the process, children’s overall well-being.